Helloooo, August! I can’t say I am particularly happy to see you, as summer for this teacher is rapidly coming to an end. Here’s what I’ve read lately. I’ve been looking for some YA books to pair with Romeo and Juliet for my 9th grade English class and haven’t been successful. If you know of any (that aren’t in this post) please let me know! I loved LaCour’s Disenchantments, and was looking forward to this one too. It does not disappoint. It is all about behind the scenes of moving making, old and new Hollywood, friendships and relationships. Cool book. The Infernal Devices series is the prequel to The Mortal Instruments series. I love the world Cassandra Clare has created with these books and Will Herrondale’s character is everything! Loved it and can’t wait to read #2. This is book #1 of my quest to find some contemporary lit to go with Romeo and Juliet. I liked the story a lot and I am sure that students would really enjoy it too. I read another book about zombies! This is book #2 I chose to read in my search for books to pair with R&J and I really enjoyed this one too. It is funny, endearing and has smart writing. It took me awhile to get over the creep factor, but definitely a great book that I am glad I read. Possible book #3 for my R&J unit is set in Chicago, and is probably one of my favorite star crossed lovers adaptation I’ve read. Great story for older readers. 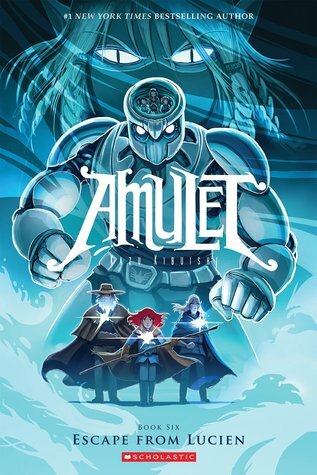 I was happy and excited to find out that I was pre approved to read this ARC on Netgalley and although the whole book did not have color in the posted version, it is amazing! This volume is action packed and several new characters are introduced. Students will love it! I’ve already preordered it for my classroom, and really want to read #5 and this one again before I hand it to students. I might have to do that in secret! This was another ARC pre approval on Netgalley. Sisters is a great graphic novel for fans of Smile. It is funny and would be a great mentor text for using flashbacks. I thought it was a cute story and have already preordered for my room! Oh, how I love this book! I would have given it a few more stars if I were allowed. Fans of Matthew Quick’s Boy 21 will like this one a lot. Set in Bed Stuy, New York, the story centers around 3 teenage boys – Ali, Noodles and Needles. Definite mentor text for characterization. While none of the books I read to possibly use for my Romeo and Juliet unit will work in my middle school classroom, I read a lot of great books over the past month. Thankful for summer reading! During the beginning of the 2013-2014 school year, my school read Wonder by RJ Palacio for our first “One Book One School” event and promoted the book’s “Choose Kind” message all year long. Students embraced the story and it was a great experience! My students and I used this resource from the Help Readers Love Reading blog and it helped tremendously with student background knowledge and prompting discussions. I highly recommend checking both Wonder and pairing it with this blog if you haven’t already. As you can imagine, it was very exciting and rewarding to discuss and refer to Wonder with students and staff members throughout the year. 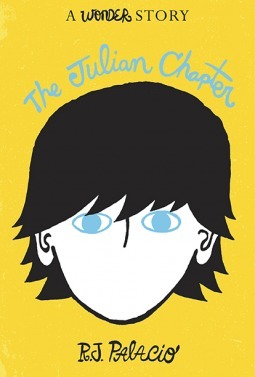 This spring, RJ Palacio released an ebook companion to Wonder called “Julian’s Chapter”. If you haven’t read Wonder, Julian is the bully and antagonist of the story that creates a lot of trouble throughout the book. Like any good reading teacher, I kept the release to myself, as I wanted to surprise my students with it and wow, were they excited! They remembered Julian as the bully and mean kid and did not have nice things to say about him. We read “Julian’s Chapter” over the course of a little over a week (it’s a lot longer than I thought it would be) and it was a great way to end the school year. I read it with the students and didn’t preview it ahead of time. 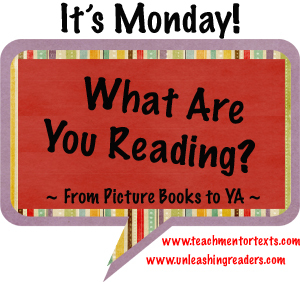 This lead to some great discussions as we found things out together.The Help Readers Love Reading blog has some great resources for Julian’s chapter, too. It’s no surprise that reading a story from the bully’s perspective is a unique opportunity and students learned a lot from this read aloud. Every story has two sides and by the end, we appreciated that Palacio gave her readers more story. Without giving too much away, “Julian’s Chapter” gives insight into why Julian acts the way he does, his home life and how he comes to terms with what happened during his fifth grade school year. He goes to visit his grandmother in Paris and this was my favorite part of the story. His grandmother tells a story from her childhood that Julian has not heard, and it kept my students and I on the edge of our seats. Full disclosure, this part really got me choked up and there was a mad dash to get the teacher some tissues that day! Overall, revisiting RJ Palacio’s characters was a great experience, and one that I’m sure students will remember for a long, long time. As an educator, it doesn’t get better than this. Through two stories, and lots of discussions over the course of 8 months, we ended the school year full circle – promoting the “Choose Kind” message with a shared reading experience that students will not soon forget.